Kickstart your wedding planning with a fun weekend full of creative wedding inspiration and amazing deals at The Singapore Wedding Fair on 30 and 31 March 2019! Presented by SingaporeBrides and Bridestory, The Singapore Wedding Fair connects you with a handpicked collection of over 70 of Singapore’s most sought-after wedding vendors. Gather your family and bridal party and head down to Suntec Convention Hall 403 on 30 and 31 March 2019 for a fun weekend of gorgeous wedding inspiration and the chance to win $20,000 in cashback, plus other exciting prizes! Event admission is free! A refreshing alternative to the traditional wedding expo, The Singapore Wedding Fair helps modern couples meet trendy, unique wedding vendors in a beautifully designed showcase with a modern heritage theme of florals in sand tones and hints of coral. 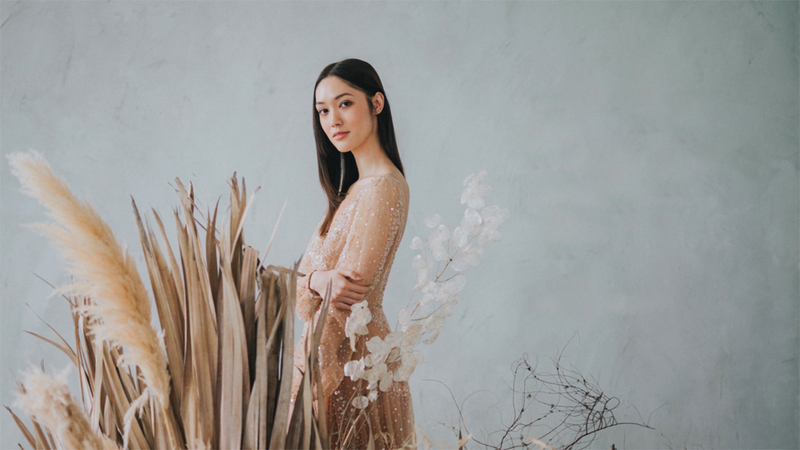 Perfect for those of you planning a wedding that reflects your personal style, the showcase features Singapore’s most popular and creative vendors to help you design your dream wedding. With over 70 amazing vendors under one roof, The Singapore Wedding Fair makes wedding planning easy. Find everything you need for your big day in just one weekend, and enjoy exclusive perks and rates when you book during the fair! Discover the perfect setting for your wedding, whether you’re looking for a modern glass pavilion venue such as Andaz Singapore, a fairylit garden venue such as Hotel Fort Canning, a romantic beach venue such as Shangri-la Rasa Sentosa, or a grand ballroom venue such as Regent Singapore. Be inspired by gorgeous wedding gowns in elegant lace or ethereal tulle when you meet renowned bridal boutiques such as La Belle Couture, Luna Bianca, and Yvonne Creative Bridal. Looking for a creative vendor to capture your love in a stunning shoot overseas, or to document every precious moment from your wedding day? Meet photographers like Depthofeel or videographers like Substance Films at The Singapore Wedding Fair. You’ll also find everything else you need to create your perfect celebration, from stylists to florists to jewellers to hair and makeup artists! Take advantage of exclusive event-only privileges at The Singapore Wedding Fair. Enjoy special gifts from Hotel Jen Tanglin’s Wheel of Perks worth up to $5,388, and up to $6,600 worth of exclusive perks from Andaz Singapore. Receive cash rebates of up to $128++ per table, free flow of beer, 1 complimentary bottle of house wine per table, and more, from Orchard Hotel Singapore. At Novotel Clarke Quay, enjoy cash rebates of up to $128++ per table, free flow of beer and wine, and two additional wishes, plus a chance to win a honeymoon to the Maldives. More incredible event-only packages and privileges await at The Singapore Wedding Fair! Stand a chance to win back what you spend at The Singapore Wedding Fair with a total of $20,000 in cashback to be won! Every transaction of $200 and above during the fair entitles you to a chance in the Grand Draw, which will be held at 9pm each day. The first six transactions above $500 every day will also be entitled to a Flash Prize from the wheel of fortune! Spin the wheel and instantly receive a prize from Multifolds Productions, Jessicacindy, Regent Singapore, Orchard Hotel Singapore, Hotel Jen Tanglin Singapore By Shangri-La, SweetEscape, or AIRISU. You’ll also win fun prizes such as Sephora and Starbucks vouchers at the Coin Machine just for posting a photo of The Singapore Wedding Fair on Instagram and tagging @singaporebridesweddings and @thebridestory, with the hashtag #TheSingaporeWeddingFair2019. With beautiful inspiration, over 70 creative and trending wedding vendors, and exciting perks, prizes, and $20,000 cashback, The Singapore Wedding Fair is not to be missed if you’re planning your wedding! Join us for a fun and inspirational weekend by registering for free here! For more information, visit www.thesingaporeweddingfair.com, and follow us on Instagram at @singaporebridesweddings for updates on participating vendors! Feature image presented by SingaporeBrides X Bridestory | Photography by Multifolds | Videography by Bridestory | Dress by Jessicacindy | Flowers by Floral Magic | Hair and makeup by Makeup Entourage | Talent by Aimee Cheng Bradshaw. Other images courtesy of respective vendors.